It was a shame that I couldn’t attend the opening of Ba’get on Russell Street but when I was invited again to try their winter menu to celebrate Mùa Đông (winter), I was more than happy to accept. 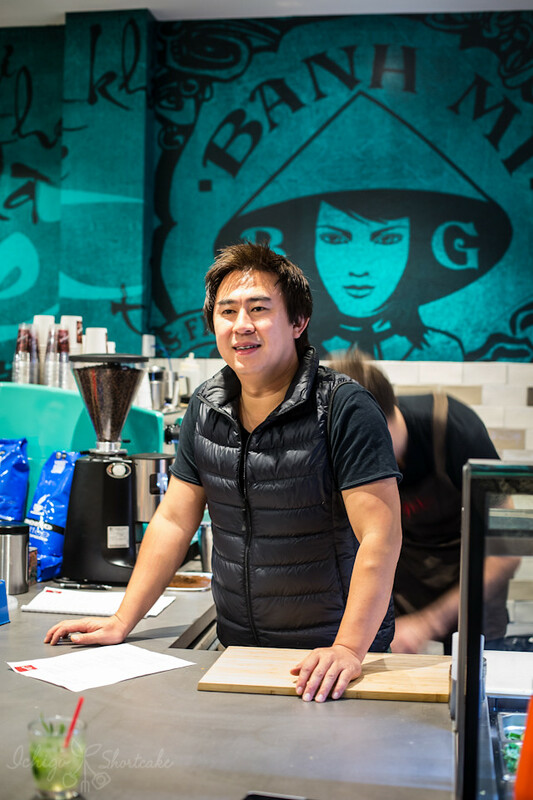 Ba’get is a modern take on a Vietnamese eatery that focuses on Vietnamese rolls or banh mi and vermicelli bowls. 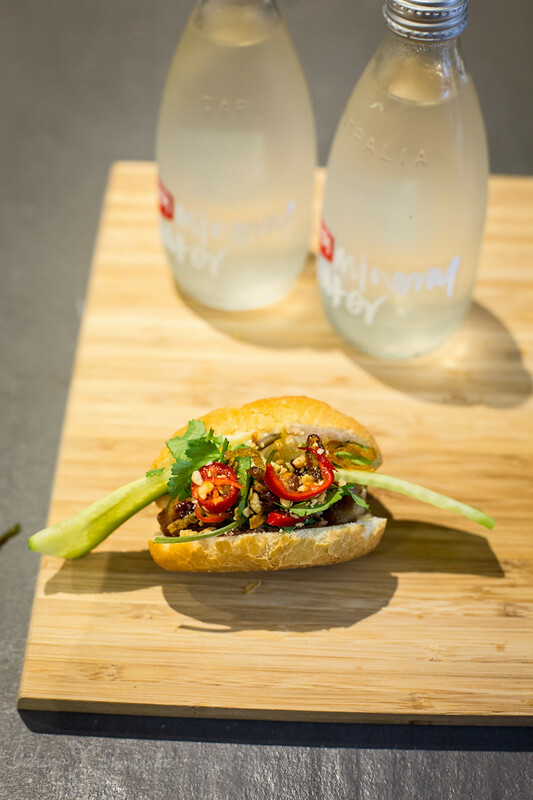 As Vietnam was previously a French colony, many of its food have French influences such as the banh mi. It’s made using a French style baguette that’s crunchy on the outside and fluffy on the inside. 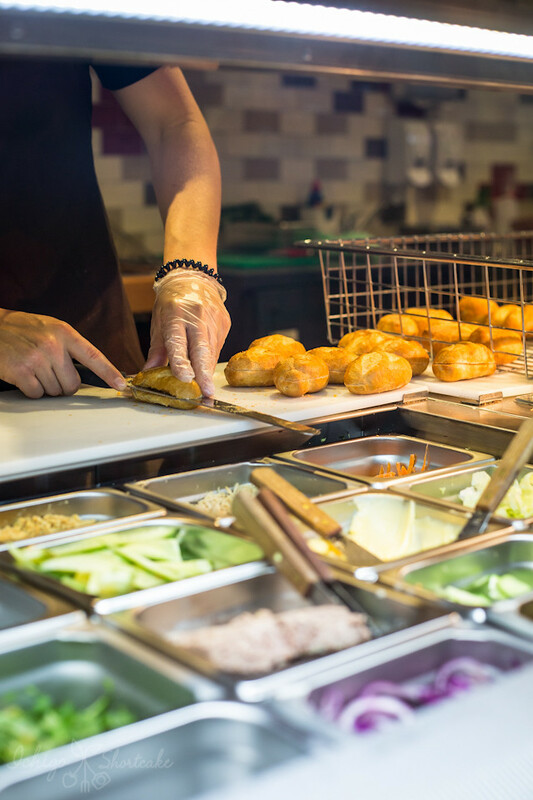 A classic banh mi will use pate for flavouring along with ingredients like ham, spring onions, coriander, fresh chilli, pickled carrots, cucumber and soy sauce. Ba’get however, have many other things to offer in terms of banh mis and they all cost $6.50 each. You can choose ones like breakfast banh mi with bacon and eggs or maybe the pulled chicken or meatballs versions. There is also a vegan tofu option too. If banh mi isn’t your thing, you have the option to choose a vermicelli bowl ($8.50) with similar ingredients as the banh mi. 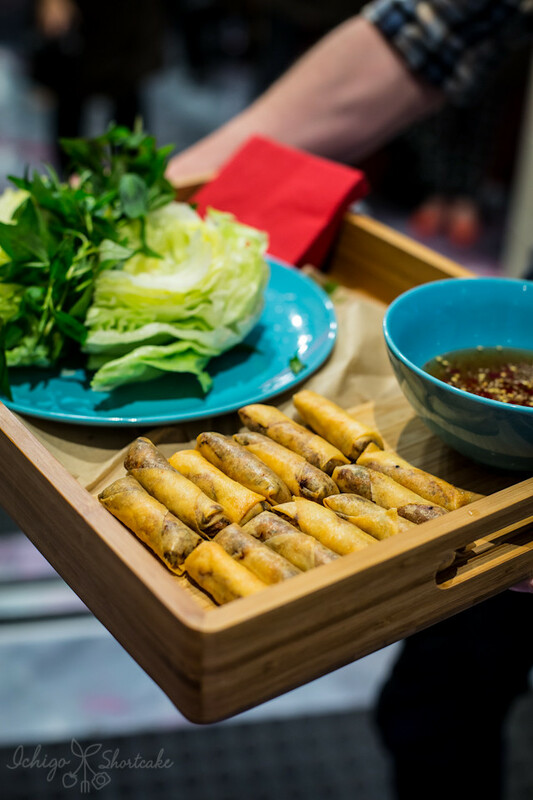 We started off the night with (quite a few) delicious spring rolls. I was a bit hungry so got a little carried away with these. 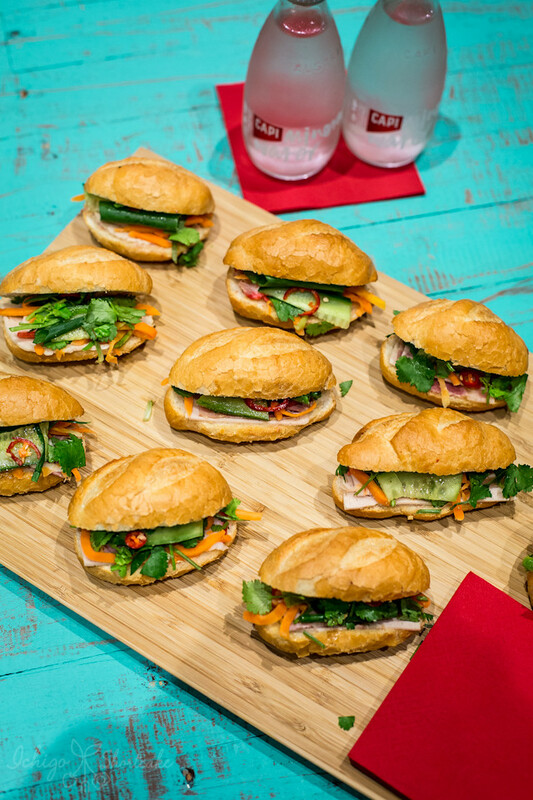 We also tasted a mini version of the classic banh mi which was totally delicious. I always eat these with my family in Springvale when we shop there. Ba’get’s version was light and well balanced in flavour but somehow had a fresher feel about it than the other ones we have. 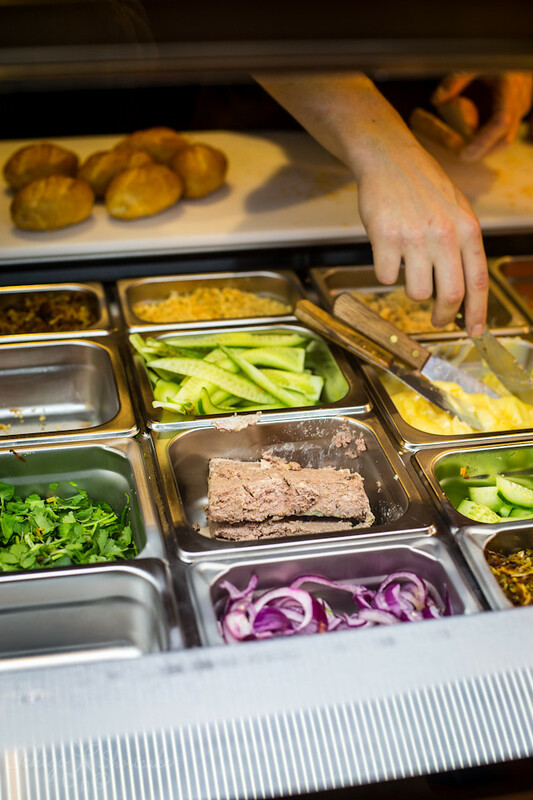 We then made our own mini banh mis using the ingredients in the counter. I think the classic one tasted better than the version I made, although mine was also delicious. I don’t know how you can get these wrong with such great ingredients to go into it. Yes, please ignore the very long cucumber (this was meant to be used in the large version). 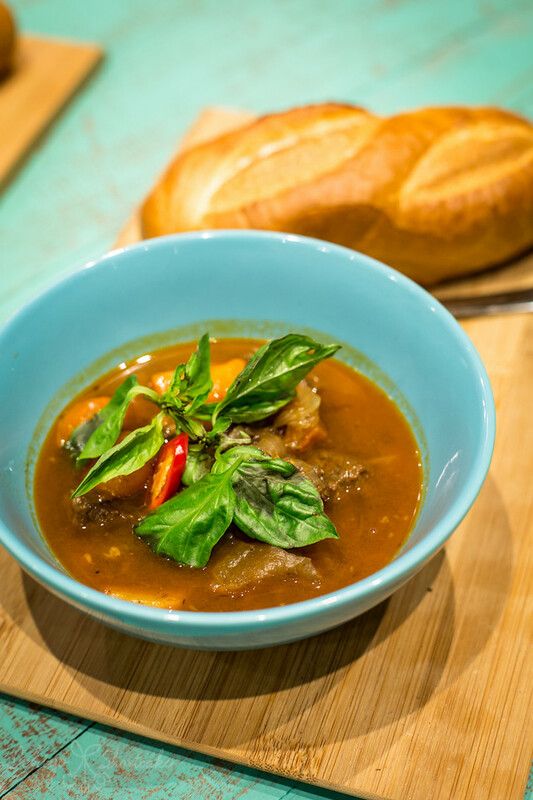 The cold winter breeze makes me crave for a big bowl of meaty stew and that’s exactly what our host Duy Huynh made for us that night and it’s a traditional dish called Bo Kho, a Vietnamese beef stew. Duy spoke fondly about his memories of Vietnamese cuisine especially the banh mi while taking us through how to make this delicious bo kho dish. 4. 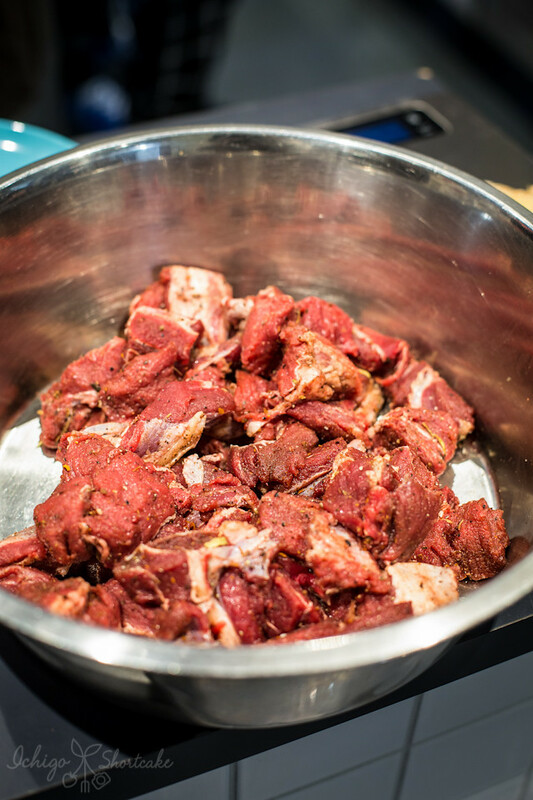 Add beef stock and cook for 30mins in a pressure cooker or on a gentle simmer for 2 hours or until tender. 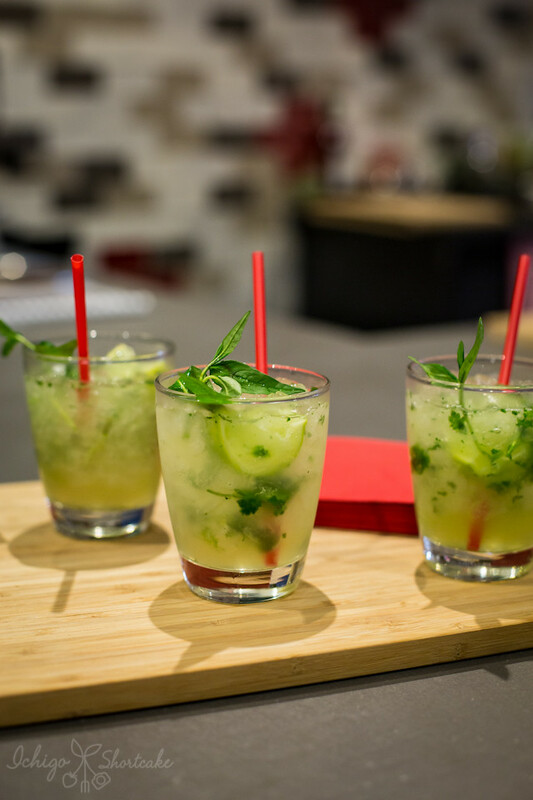 Serve garnished with Thai basil and coriander. Bo Kho is traditionally served with a freshly baked baguette. I loved this dish. 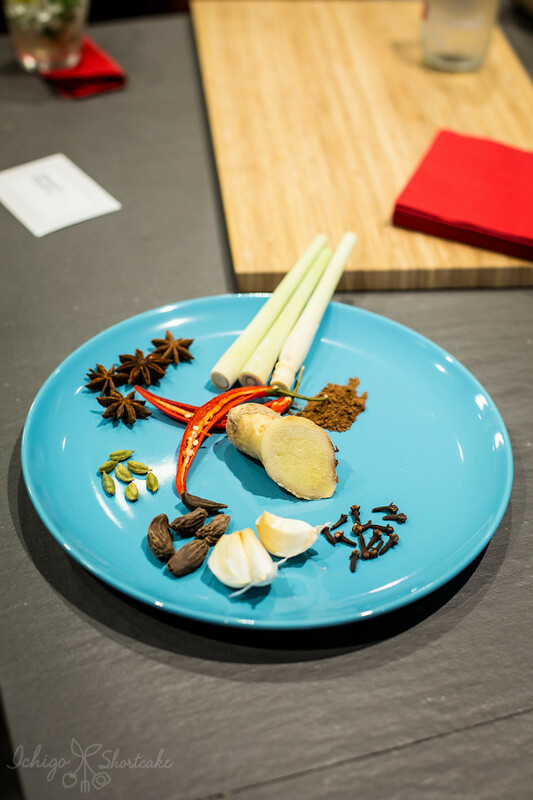 All the spices and flavours went so well together. Duy’s secret ingredient mandarin peels gave it a subtle acidity and added a new dimension to the dish without being overpowering. If you don’t have a pressure cooker, I seriously recommend one because I LOVE mine. 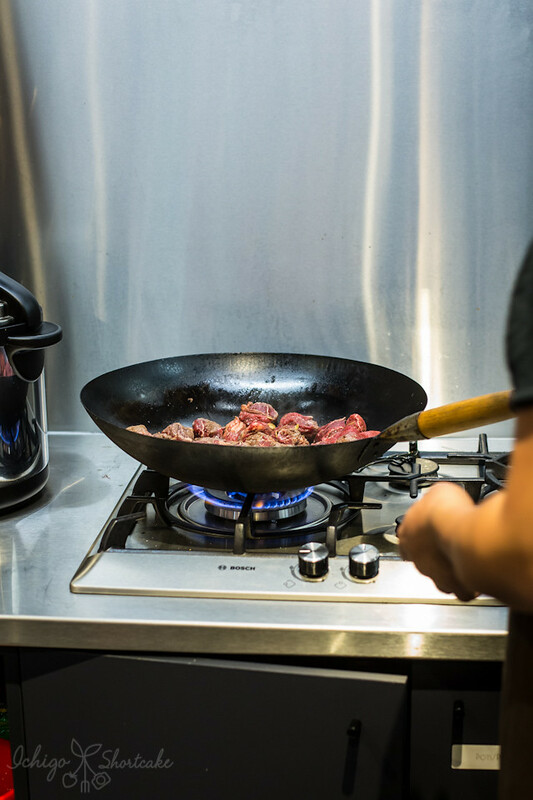 It makes everything cook in a fraction of the time without losing any flavour. We also got to taste 3 different cocktails during the night. The first one being the Mekong Breeze. Rum cocktail; herbaceous, fresh, exotic; reminiscent of a warm evening by the Mekong. This cocktail was very refreshing and not as alcoholic as it seemed. It was coconuty and tasted faintly of the herbs. The second cocktail was the Peaceful Dragon. 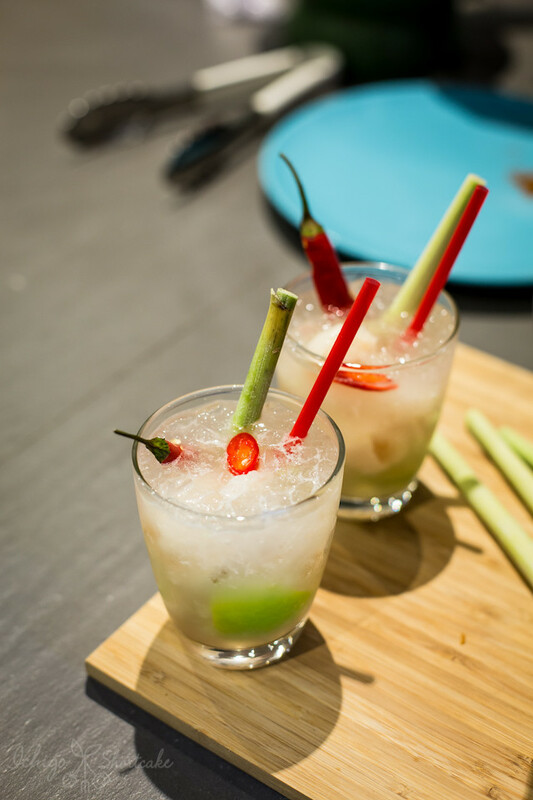 In a cocktail shaker add Gin, chilli, lychees, syrup, squeeze of lime & throw remaining wedge in, lemongrass, then fill with ice & shake well. Pour out into a short glass and top with with ginger beer. A wedge of fresh ginger & lemongrass swizzle to garnish. Again this was a very refreshing cocktail with a little bit of chilli kick at the end. The last cocktail for the day was the Chai Dreaming. A winter warmer that will knock the chill from your system this season. Add enough boiling water to cover Chai tea in a flask. Allow to infuse for 2 minutes. 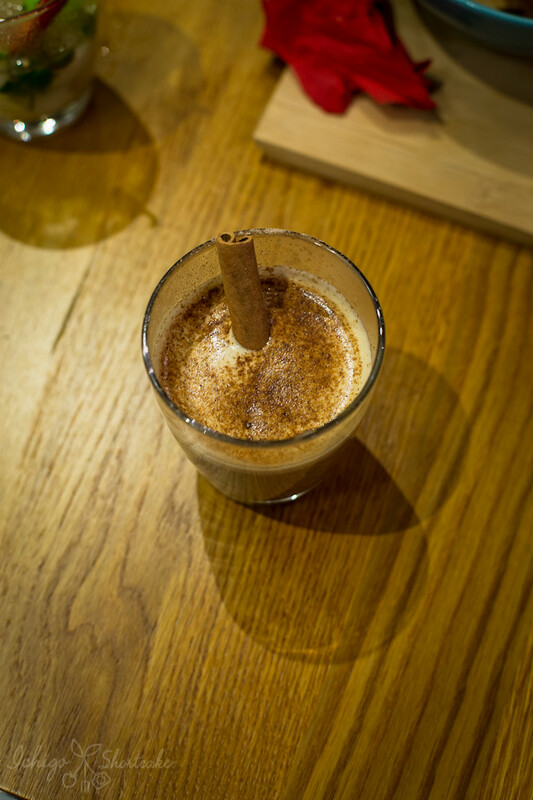 Add shot of brandy and pour into a mug garnished with ginger, cinnamon and ground cinnamon sugar. I usually don’t like spiced chai drinks all that much, I think the spices in it overwhelm me a little. But I totally fell in love with Chai Dreaming. We had it just after the bo kho so it was a great warming finish to our meal. It really warmed my soul right through and I was ready to head outside into the cold winter night. The Bo Kho and Chai Dreaming are both on the winter menu at Ba’get. 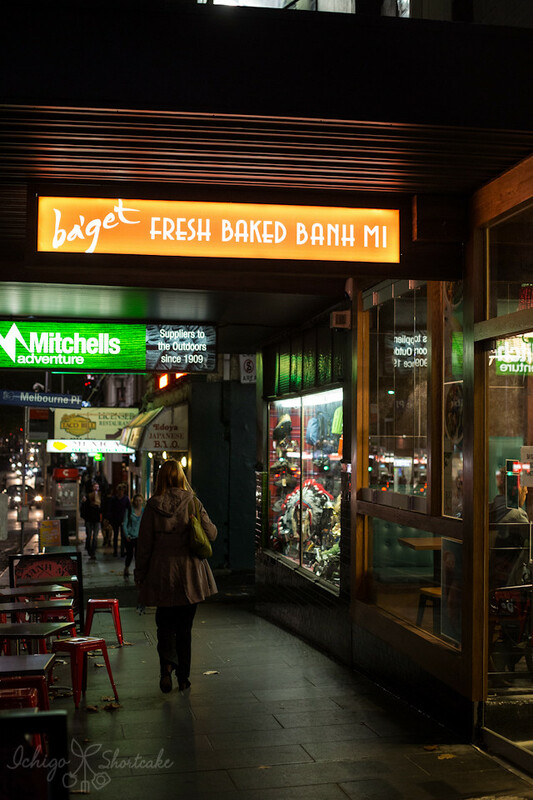 Visit Ba’get to get your banh mi fix or try the Bo Kho and Chai Dreaming for yourself! Disclaimer: Ichigo Shortcake attended this event with thanks to Ba’get and Hot House Media. 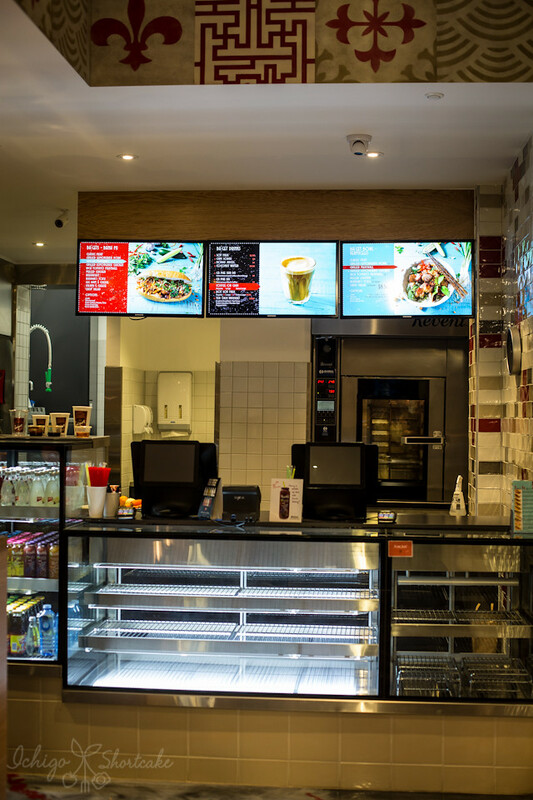 Saigon Light, Glen Waverley – can’t get enough of fish sauce!